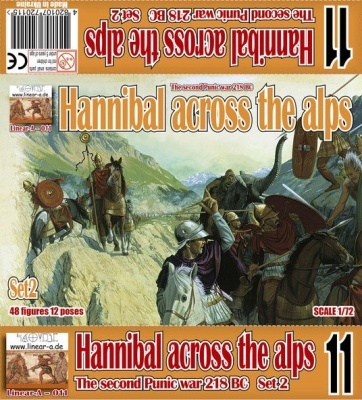 011 Hannibal Crossing the Alps II B.C. 2617 British 8th Army (WWII). 44 unpainted plastic figures. 17 different Poses. Material Plastic.